With the collapse of the Soviet Union most of TV commercials from that era were destroyed, except those directed by Harry Egipt. Price includes worldwide shipping and handling. DVD will be shipped to your address within the next 10 days after payment is received. 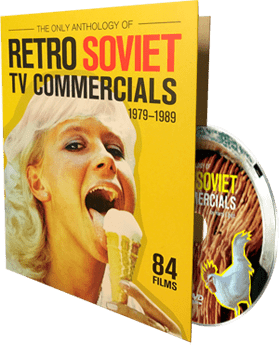 First TV commercials in the Soviet Union were produced in 1967. It was mandatory that all Soviet enterprises spend 1% of their yearly budget on advertising. It did not matter whether there was a need for a commercial or not. Over 5000 TV ads were produced in 24 years. Harry Egipt is considered to be one of the most productive producers during the era of Soviet Estonian TV-commercials. 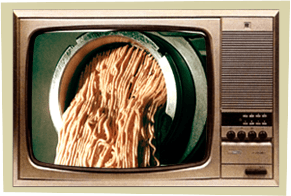 It's hard to imagine a time when you looked forward to commercial breaks on TV, but that was exactly the case in the 1980's with Soviet ads on TV in Estonia. Instead of an annoying interruption, this separate five-minute program, aired three times a day, became the screen event to wait for. Western appearances mixed with socialist content created wildly eccentric ads that have acquired a huge cult following. The Soviet ads simply ignored the idea of selling a product or targeting certain consumers, thus making the ads themselves the product to be consumed. Usually products vanished from the shelves without any need for advertisement but ads were produced nevertheless. At other times an ad would be produced in the hopes that, at the time of airing, a product would be available for sale. 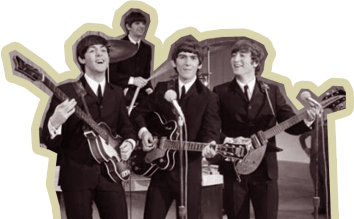 Since the Soviet’s did not recognize foreign regulations regarding the use of pre-recorded music, you can hear Michael Jackson’s, The Beatles’, George Michael’s and Robert Palmer’s music in these commercials. DVD contains Harry Egipt’s most renowed and controversial masterpiece “Chicken Minced Meat”. Fans have named this commercial as a “30 second vegetarian’s nightmare”. 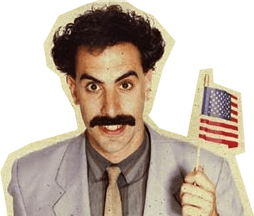 Clips from Harry Egipt`s films have found their way to the Twentieth Century Fox’s production of Borat: Cultural Learnings of America for Make Benefit Glorious Nation of Kazakhstan.